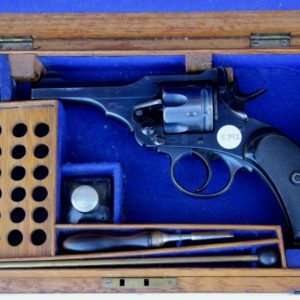 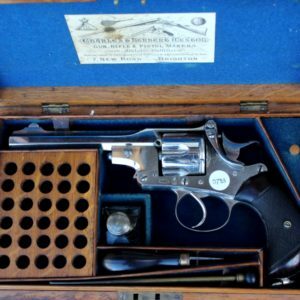 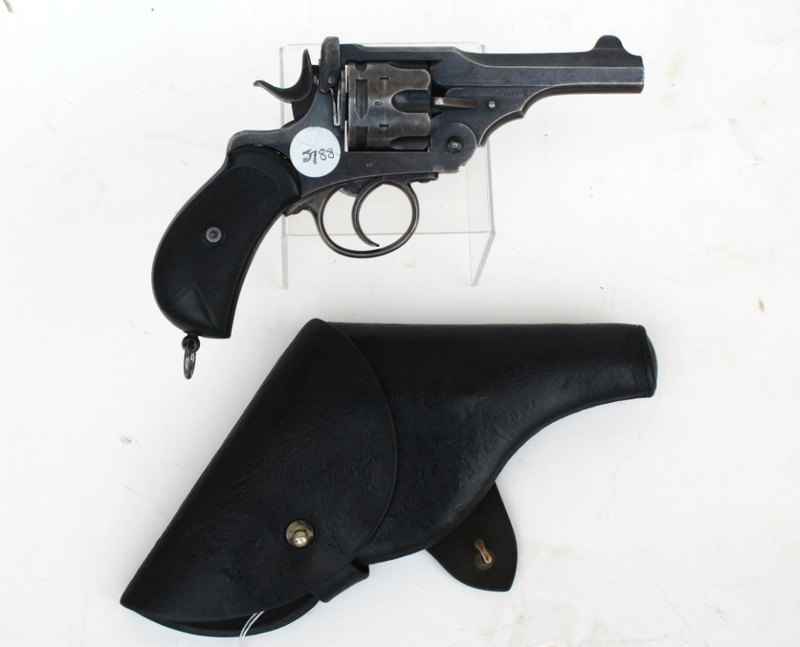 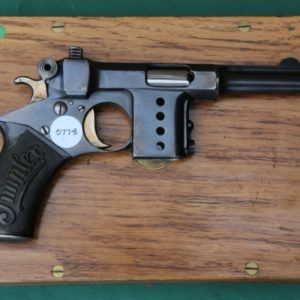 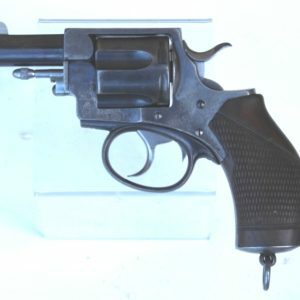 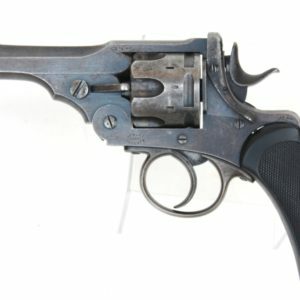 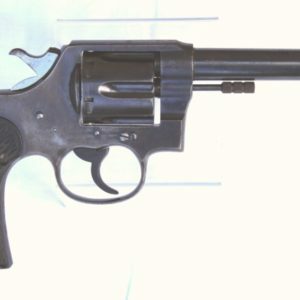 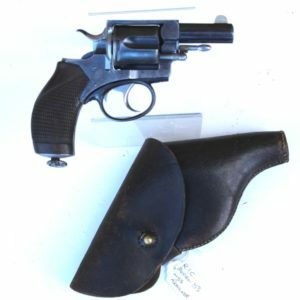 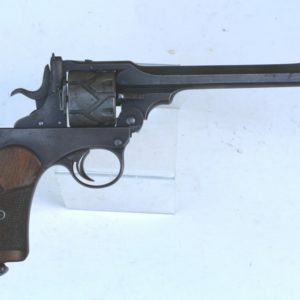 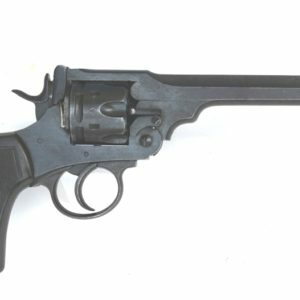 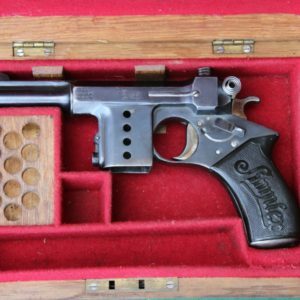 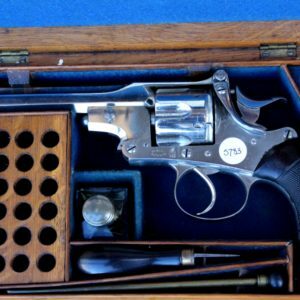 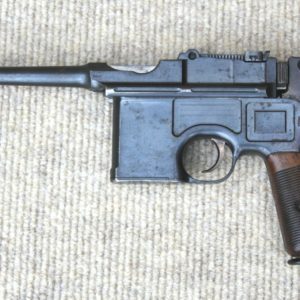 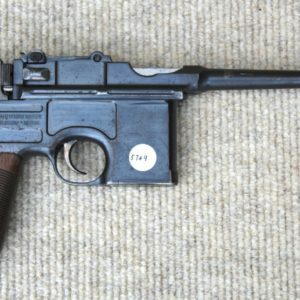 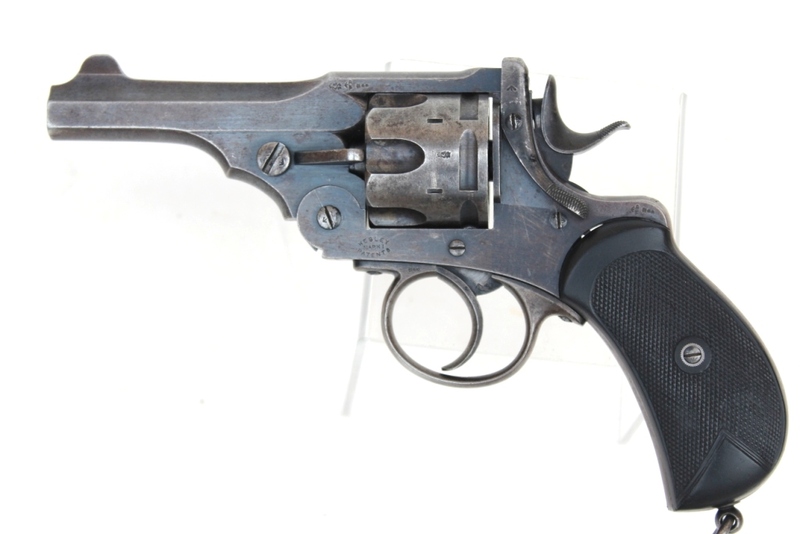 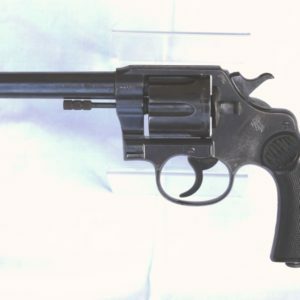 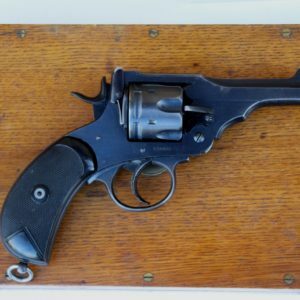 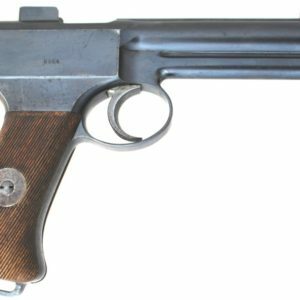 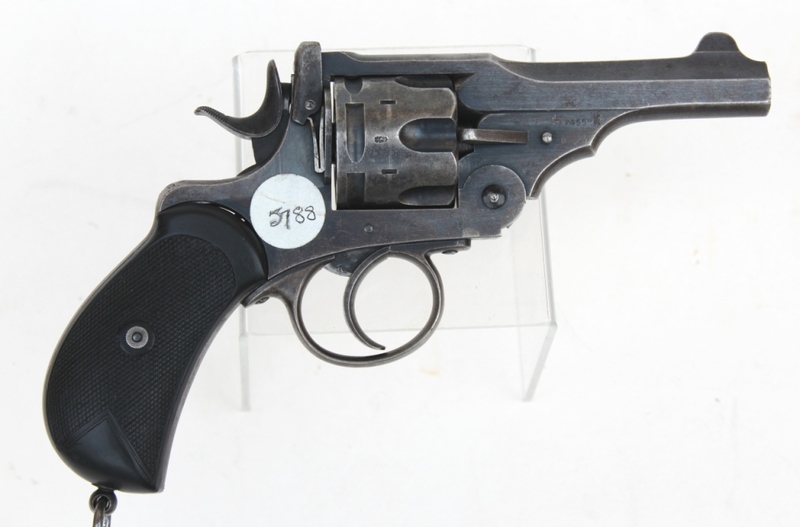 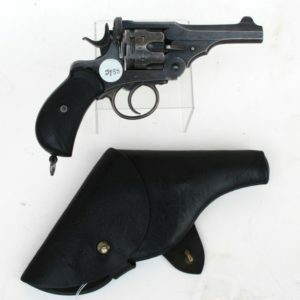 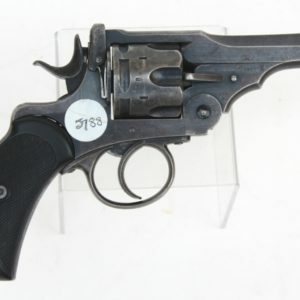 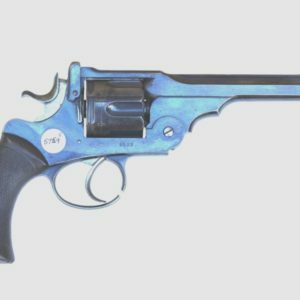 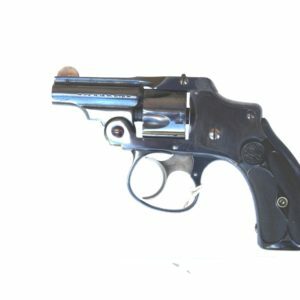 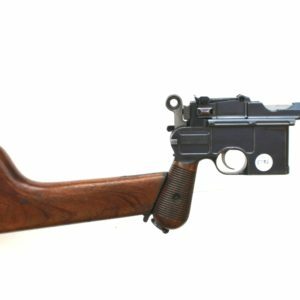 .455 Webley Mk I Revolver marked 10.99 LCTAC68. 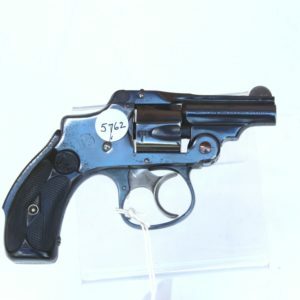 Blue finish, military proofs with later .455 civilian proof. 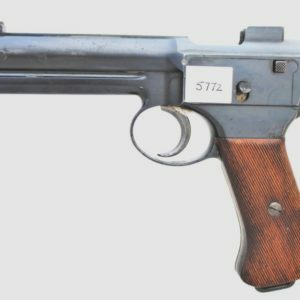 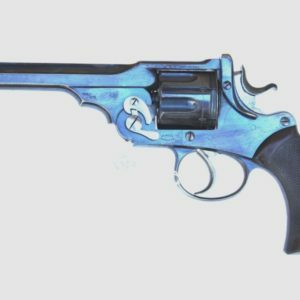 The pistol is clean overall retaining some 75-80% of its original blue finish with fading in high spots. 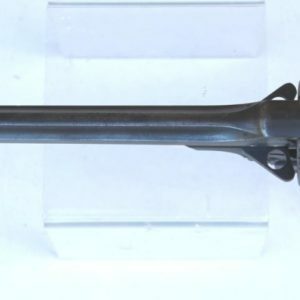 The bore has some shallow marks, the rifling is clear and the grips appear to be replacements. 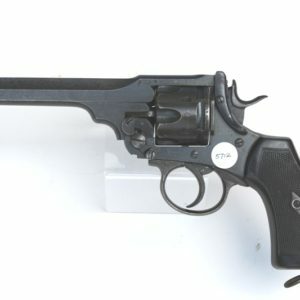 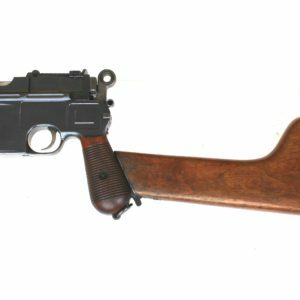 Gun number is 27***.